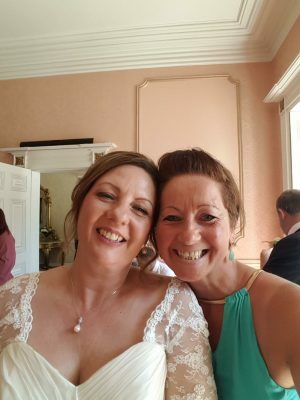 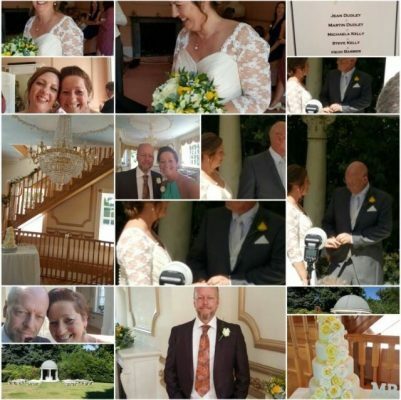 I met Jayne at a wedding fair where I was exhibiting. 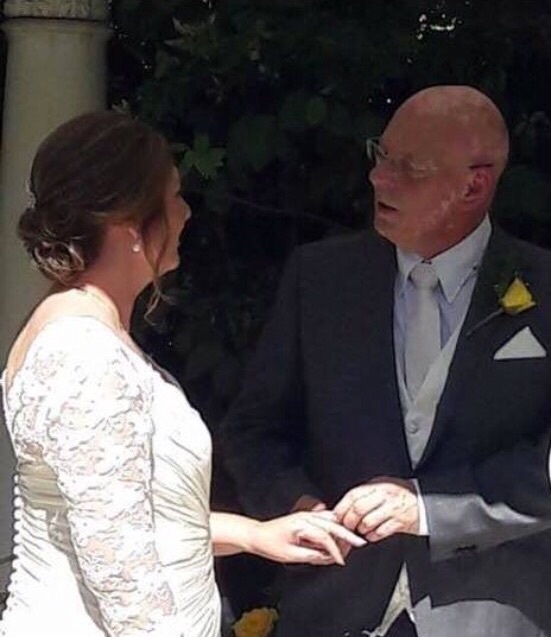 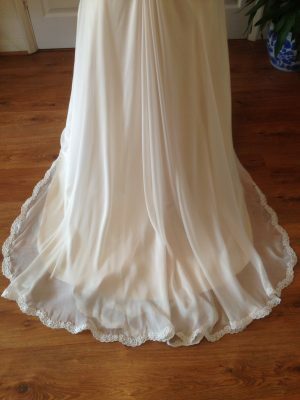 She really liked the idea of having an input into the design of her wedding dress, and having a dress created and handmade especially for her. Jayne searched the Internet for ideas and found a dress design she liked. We changed the neck line so it didn’t come up so high at the back and altered the gathered fullness in the skirt to a circular skirt that had no gathers at the waist. 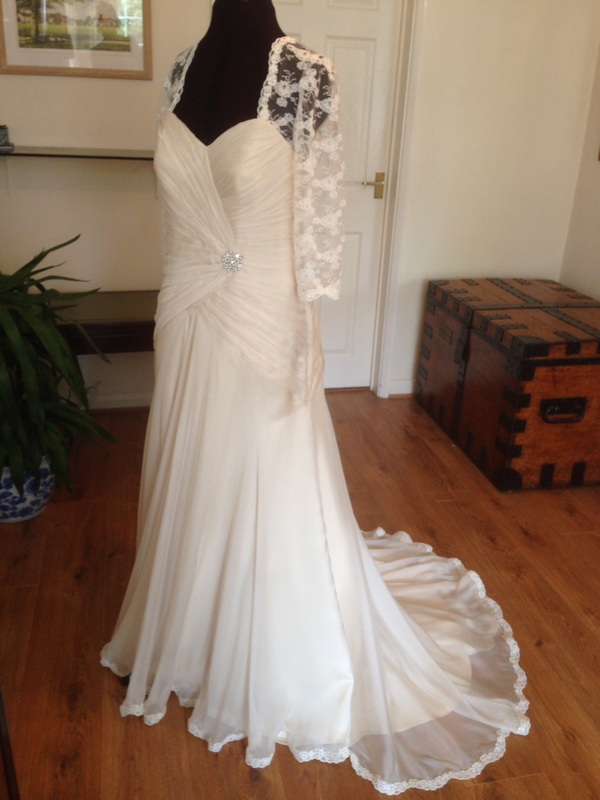 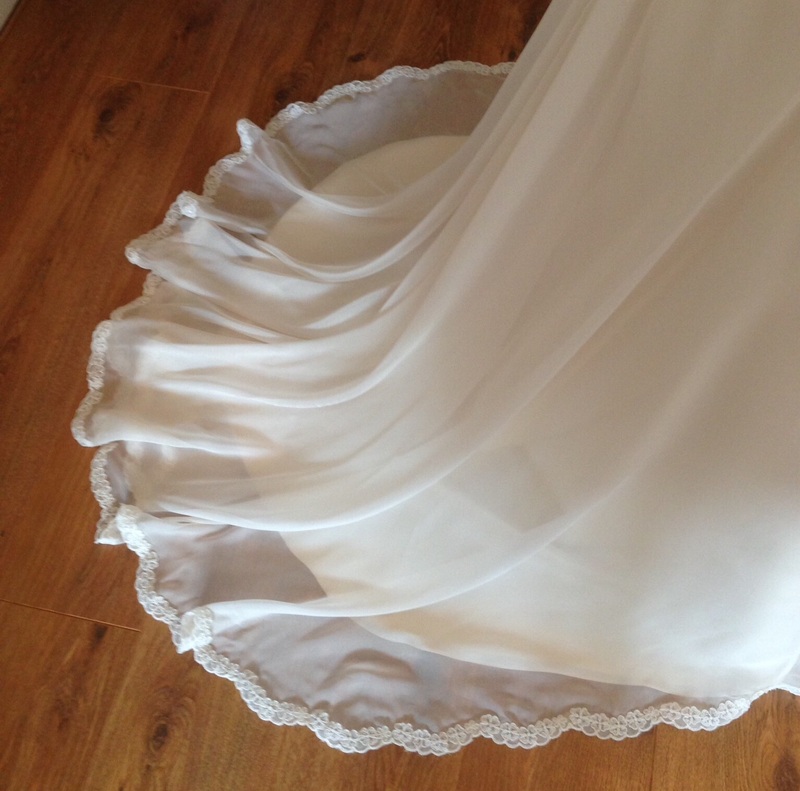 Jayne chose a lovely silk chiffon fabric over a light weight satin crepe, both in a sea-pearl colour. 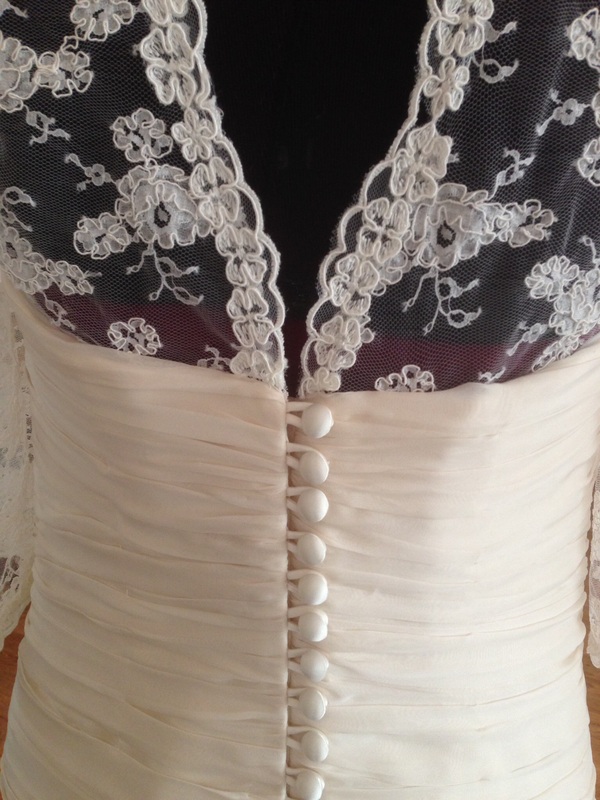 She also chose a beautiful lace with a small flower pattern and matching border. 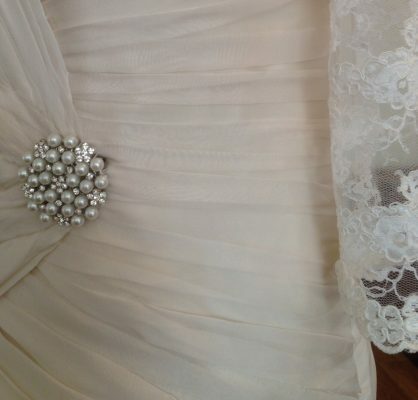 A pearl brooch completed the look.